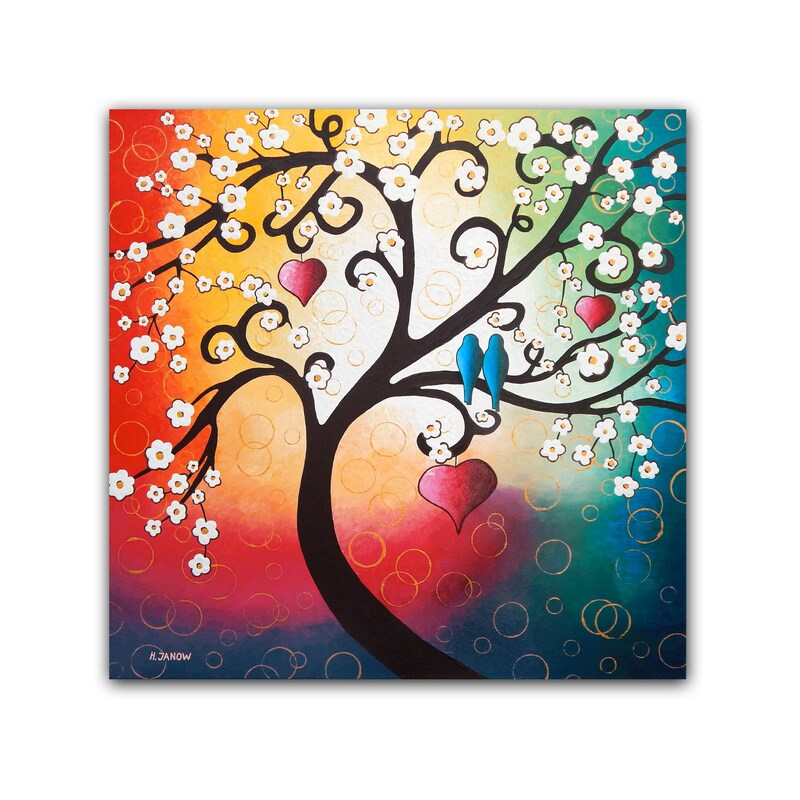 This unique one of a kind, ORIGINAL whimsical tree painting “Garden of Love” is so romantic and so dreamy! Bright rainbow colors with a touch of gold are absolutely stunning! ONLY ONE available! The painting is created on 24"x24"x0.5" back stapled gallery wrapped canvas using my unique acrylic painting technique. The artwork is wired and ready to hang right out the package! Sides are painted in black - NO FRAME required! Certificate of Authenticity is also included, signed and dated by me, the artist. The painting makes a wonderful gift and is a perfect wall art decor for any room in your house! THANK YOU VERY MUCH FOR YOUR INTEREST IN MY ART!